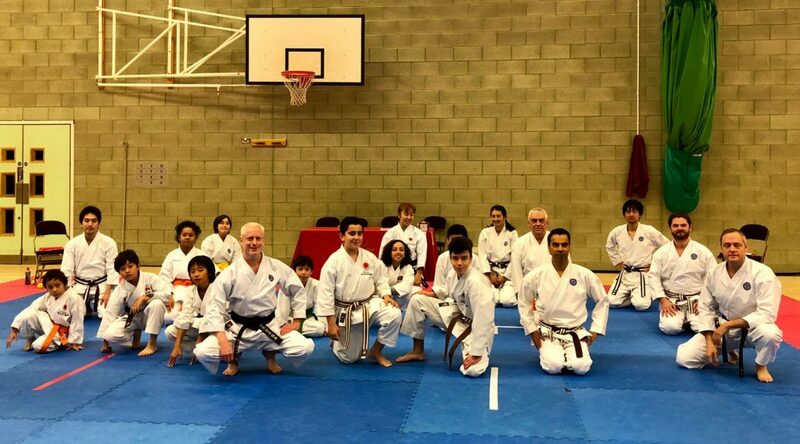 The classes are taught by instructors registered with The Japan Karate Association in England. Club instructor Austin Biesty 3rd Dan JKA has 20 years karate experience. 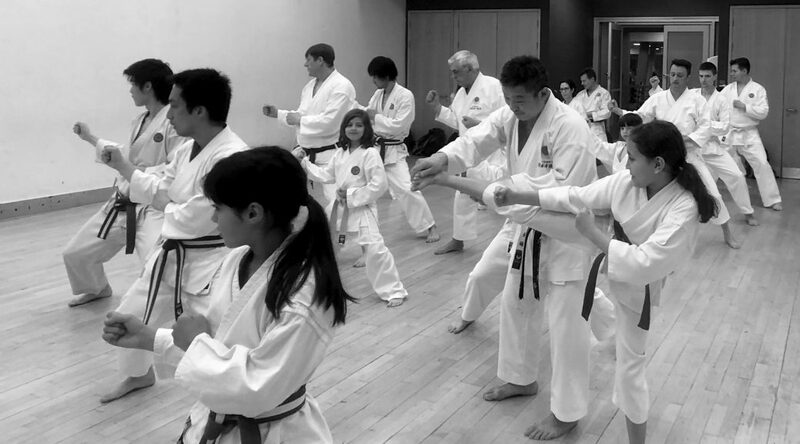 There are four training halls where we teach karate, all of which are are open to the public: Harrow School Sports Centre in the borough of Harrow, Swiss Cottage Leisure Centre and O2 Centre’s Community Hall in the borough of Camden. We also teach a class in Stanmore. Shira-nami-kai. The name of our club. Shiranami (白波) is Japanese for ‘breaker’, a type of wave (literally ‘white wave’). Kai (会) is Japanese for ‘group of people’ or more appropriately, a club. 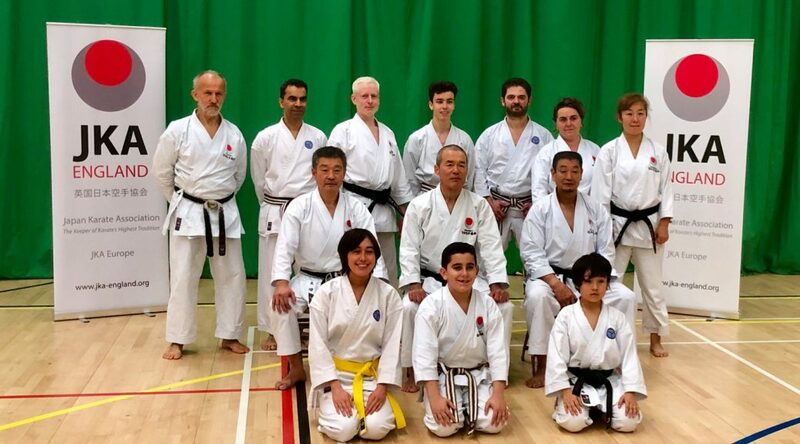 Shiranamikai JKA Karate is affiliated to The Japan Karate Association in England, with Ohta Yoshinobu Sensei 7th Dan as the association’s Chief Instructor in this country. The result of true karate is natural, effortless action, and the confidence, humility, openness and peace only possible through the perfect unity of mind and body. This is the core teaching of Zen, the basis of Bushido and the JKA’s karate philosophy. Karate uses a range of blocks, punches and kicks. 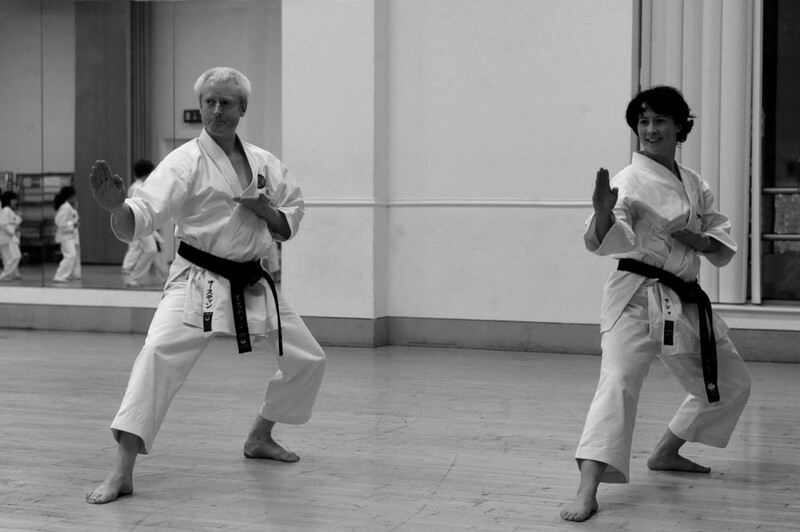 We teach Shotokan karate, introduced into the Japanese education system from Okinawa in 1922 by Funakoshi Gichin. 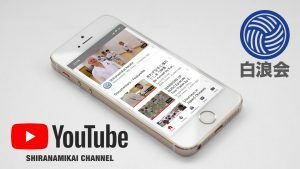 Funakoshi Sensei is widely regarded as The Father of Modern Day Karate and Shotokan is now one of the most popular and widely-recognised styles in the world. Characteristics of Shotokan over other karate styles are its long, deep stances and full range of movement including: side, rotating and rear kicks. Other styles tend to use shorter stances and forward kicks only.